You need to choose a model that is capable of handling the size of the pond. A submersible pond pump is often the choice for the majority of pond owners. A submersible pump is put in the bottom of the pond, a bit off the pond bottom in order to prevent clogging by debris and other matter. A good quality pump is important along with a good warranty. Always check the quality of the material used on the pump, because a rust free pump is important for durability. Also notice the gallons pumped per hour (GPH) in order to purchase the right size pump for the pond that you have. 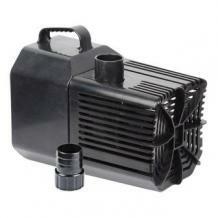 It is important to have a pump that has enough pumping ability for the amount of water in your pond. If you have a waterfall it is also important to know how high the water will pump as well (maximum Lift). Each pump will be different. And finally energy consumption is important, choose a pump that has the right amount of power consumption for the amount of water that has to be pumped. (don't be cheap though) The right size pump can save you electric in the long run. If you underestimate the size of the pump, your pump may not be as efficient at filtering water. In other words, do your homework. 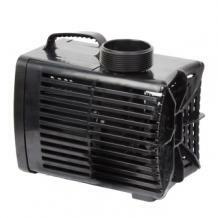 We have competitive discount prices for our pond pump supplies!